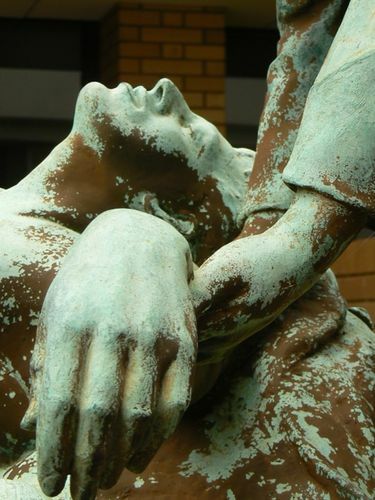 The sculpture commemorates the doctors from the then British (Australian) Medical Association who served in World War One. The sculpture was created by Charles Web Gilbert who was an important sculptor of Australian World War One memorials. He produced several sculptures for the Australian War Memorial, such as Bomb Thrower and Stretcher-bearers. Argus (Melbourne), 3 November 1923.